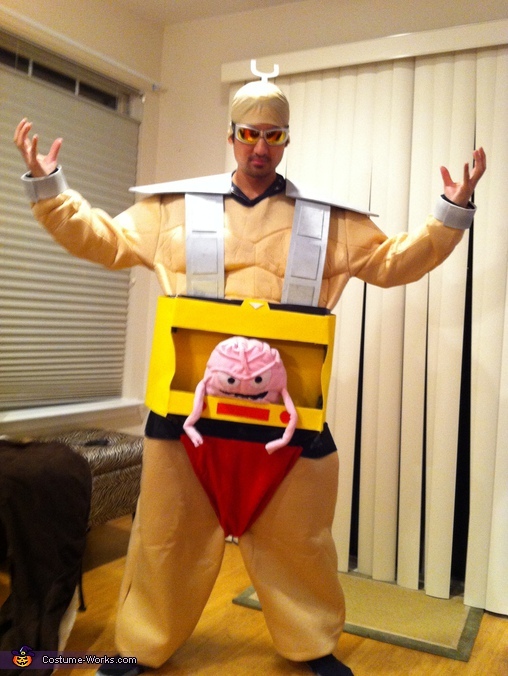 All you turtles shall feel the wrath of the almighty KRANG!!! My fiance kept insisting I be the villain Krang from Teenage Mutant Ninja Turtles. So I used this as inspiration and a guide. We got a cheap sumo costume from amazon, a bunch of different colored foam, gorilla tape and for the Krang center piece, used a pink fleece baby blanket which my fiance sewed into krang. In three days we finished the costume.